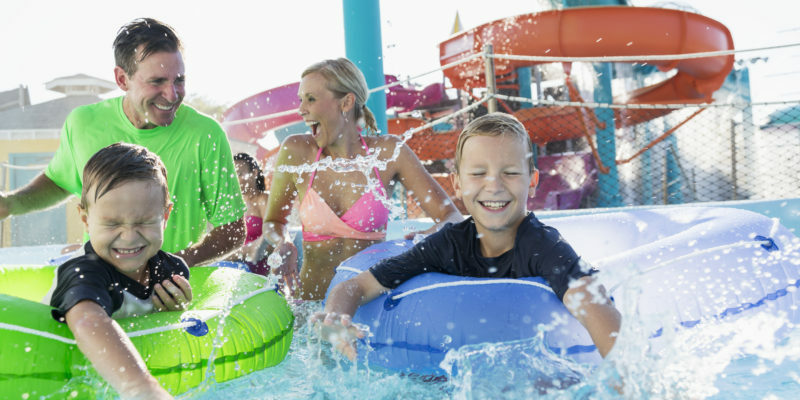 This year get a jump on the warmer weather and start spring with a big splash at Schlitterbahn Bahnbreak 2019! March 23 and 24 Schlitterbahn will open its most popular area of their flagship park – Blastenhoff, home to the world’s most award-winning waterpark ride, the Master Blaster. This uphill water coaster ride is known worldwide and continues to be the park’s most popular ride year after year. At the center of Schlitterbahn there are miles of rivers. The waterpark started on the banks of the Comal River and today is home to two water parks that include tube chutes, rides, tube slides, and pools that use the spring fed river water that always stays a cool 72 degrees and flows right back into the river. Book a Bahn Break today and escape to the Hill Country for Spring Break and relax on Torrent Beach or experience the thrill of the water rides just minutes from New Braunfels, TX’ new master planned community, Veramendi. WHAT’S OPEN DURING BAHNBREAK 2019? During Bahnbreak 2019 Schlitterbahn’s Blastenhoff section will be open for Spring Break Bonus Days. With over 200 rooms, cabins, houses, treehauses, and lofts to choose from, you can also stay and play with special spring break Schlittebahn New Braunels specials and packages and make the most of Hill Country spring break vacation. Packages include overnight accommodations, unlimited use of the waterpark throughout the length of your stay, and other exclusive resort guest perks. Schlitterbahn New Braunfels officially opens daily for the summer season in June, however the park is open on select nights and weekends during the early spring and fall and is closed for the months of October – February. To avoid the crowds, it’s best to visit the park during the week and avoid holidays and weekends when possible. You can also check out the Schlitterbahn crowd calendar to help guide your vacation plans. You can purchase Schlitterbahn tickets in advance by visiting their website and you can often find discounts available at your local HEB. Season passes are also great for families living in Veramendi to visit the waterparks whenever they want. When you call Veramendi home, you’re always within minutes of family fun splashing around at Schlitterbahn. Featuring an outstanding location minutes from endless water recreation, downtown New Braunfels, and high-quality homes constructed with you in mind every step of the way, Veramendi is the ideal community to enjoy the best of Texas Hill Country living. Contact us today to schedule a tour and find the ideal builder for your new Veramendi home!